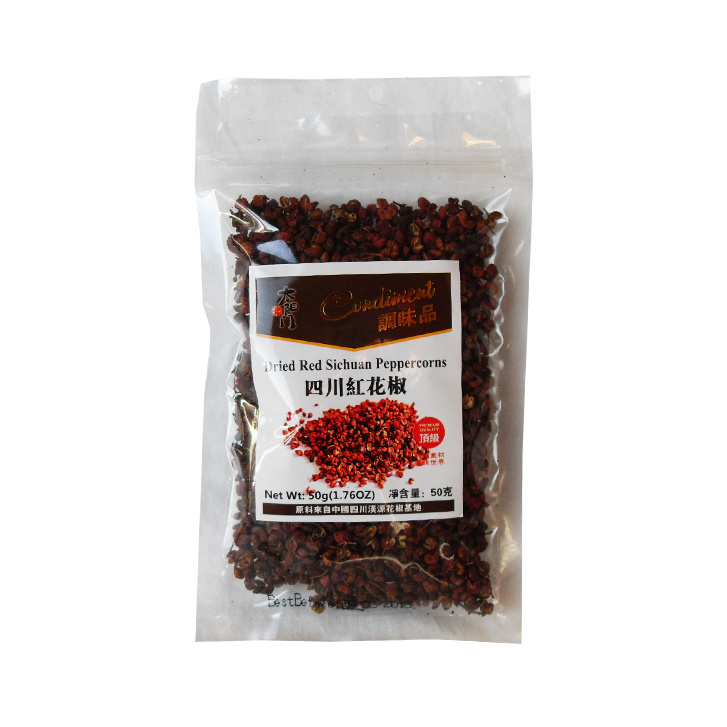 Szechuan pepper, Sichuan peppercorns or also Chinese pepper has a lemon / anise-like flavor and is indispensable in Asian cuisine. Serve with fish, pork, chicken and duck. This pepper is also often used in noodle dishes. To experience the full taste of the pepper, roasting briefly in a hot pan without fat or oil is best, then crushing in a mortar and sprinkling over the dish.